BACKGROUND: Preclinical research on the neuroprotective effect of hypothermia (HT) after perinatal asphyxia has shown variable results, depending on comorbidities and insult severity. Exposure to inflammation increases vulnerability of the neonatal brain to hypoxic-ischaemic (HI) injury, and could be one explanation for those neonates whose injury is unexpectedly severe. Gram-negative type inflammatory exposure by lipopolysaccharide administration prior to a mild HI insult results in moderate brain injury, and hypothermic neuroprotection is negated. However, the neuroprotective effect of HT is fully maintained after gram-positive type inflammatory exposure by PAM3CSK4 (PAM) pre-administration in the same HI model. Whether HT is neuroprotective in severe brain injury with gram-positive inflammatory pre-exposure has not been investigated. METHODS: 59 seven-day-old rat pups were subjected to a unilateral HI insult, with left carotid artery ligation followed by 90-min hypoxia (8% O2 at Trectal 36°C). An additional 196 pups received intraperitoneal 0.9% saline (control) or PAM1 mg/kg, 8 h before undergoing the same HI insult. After randomisation to 5 h normothermia (NT37°C) or HT32°C, pups survived 1 week before they were sacrificed by perfusion fixation. Brains were harvested for hemispheric and hippocampal area loss analyses at postnatal day 14, as well as immunostaining for neuron count in the HIP CA1 region. RESULTS: Normothermic PAM animals (PAM-NT) had a comparable median area loss (hemispheric: 60% [95% CI 33-66]; hippocampal: 61% [95% CI 29-67]) to vehicle animals (Veh-NT) (hemispheric: 58% [95% CI 11-64]; hippocampal: 60% [95% CI 19-68]), which is defined as severe brain injury. Furthermore, mortality was low and similar in the two groups (Veh-NT 4.5% vs. PAM-NT 6.6%). HT reduced hemispheric and hippocampal injury in the Veh group by 13 and 28%, respectively (hemispheric: p = 0.048; hippocampal: p = 0.042). HT also provided neuroprotection in the PAM group, reducing hemispheric injury by 22% (p = 0.03) and hippocampal injury by 37% (p = 0.027). CONCLUSION: In these experiments with severe brain injury, Toll-like receptor-2 triggering prior to HI injury does not have an additive injurious effect, and there is a small but significant neuroprotective effect of HT. HT appears to be neuroprotective over a continuum of injury severity in this model, and the effect size tapers off with increasing area loss. Our results indicate that gram-positive inflammatory exposure prior to HI injury does not negate the neuroprotective effect of HT in severe brain injury. Sabir, Hemmen; Dingley, John; Scull-Brown, Emma; Chakkarapani, Ela & Thoresen, Marianne (2018). Fentanyl induces cerebellar internal granular cell layer apoptosis in healthy newborn pigs. Frontiers in Neurology. ISSN 1664-2295. 9(MAY) . doi: 10.3389/fneur.2018.00294 Fulltekst i vitenarkiv. Hemmen, Sabir; Wood, Thomas Ragnar; Gill, Hannah; Liu, Xun; Dingley, John & Thoresen, Marianne (2016). Xenon depresses aEEG background voltage activity whilst maintaining cardiovascular stability in sedated healthy newborn pigs. Journal of the Neurological Sciences. ISSN 0022-510X. 363, s 140- 144 . doi: 10.1016/j.jns.2016.02.051 Fulltekst i vitenarkiv. Wood, Thomas Ragnar; Osredkar, Damjan; Puchades, Maja Amedjkouh; Maes, Elke; Falck, Mari; Flatebø, Torun; Walløe, Lars; Sabir, Hemmen & Thoresen, Marianne (2016). Treatment temperature and insult severity influence the neuroprotective effects of therapeutic hypothermia. Scientific Reports. ISSN 2045-2322. 6 . doi: 10.1038/srep23430 Fulltekst i vitenarkiv. Wood, Thomas Ragnar; Smit, Elisa; Maes, Elke; Osredkar, Damjan; Falck, Mari; Elstad, Maja & Thoresen, Marianne (2016). Monitoring of cerebral blood flow during hypoxia-ischemia and resuscitation in the neonatal rat using laser speckle imaging. Physiological Reports. ISSN 2051-817X. 4(7), s 1- 14 . doi: 10.14814/phy2.12749 Fulltekst i vitenarkiv. Aquilina, Kristian & Thoresen, Marianne (2015). A newborn piglet survival model of post-hemorrhagic ventricular dilatation, In Jerome Y. Yager (ed. ), Animal Models of Neurodevelopmental Disorders. Humana Press. ISBN 978-1-4939-2708-1. [Foreløpig ukjent]. 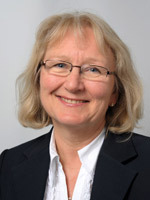 Chakkarapani, Elavazhagan & Thoresen, Marianne (2015). The Newborn Pig Global Hypoxic-Ischemic Model of Perinatal Brain and Organ Injury, In Jerome Y. Yager (ed. ), Animal Models of Neurodevelopmental Disorders. Humana Press. ISBN 978-1-4939-2708-1. [Foreløpig ukjent]. Sabir, Hemmen; Walløe, Lars; Dingley, John; Smit, Elisa; Li, Xun & Thoresen, Marianne (2014). Combined treatment of Xenon and Hypothermia in Newborn Rats - Additive or Synergistic Effect?. PLoS ONE. ISSN 1932-6203. 9(10) . doi: 10.1371/journal.pone.0109845 Fulltekst i vitenarkiv. Hollung, Sandra Julsen & Thoresen, Marianne (2018, 13. juni). Forekomsten og alvorlighetsgraden av cerebral parese har gått ned. [TV]. NRK Dagsrevyen. Thoresen, Marianne (2018). European Standards of Care for Newborn Health:Postnatal management of newborn infants with hypoxic ischaemic encephalopathy (HIE). Issued by: European Foundation for the Care of Newborn Infants (EFCNI). November 2018. Thoresen, Marianne (2018). Hva oppnår vi ved nedkjøling av nyfødte med oksygenmangel. Thoresen, Marianne (2018). The past and future of Neonatal Neuroprotection. Thoresen, Marianne (2018, 11. juli). <li value="209"> Thoresen M. On BBC 11th July 2018: http://www.bristolhealthpartners.org.uk/blog/2018/06/26/i-pushed-all-i-could-out-came-a-baby-who-was-pale-limp-and-did-not-cry/1102. [TV]. BBC. Thoresen, Marianne (2017). Are small brains different from adults - why is therapeutic hypothermia so effective in newborns?. Thoresen, Marianne (2017). CARDIOVASCULAR RESPONSE AND SEIZURE FREQUENCY OF 78 HOURS XENON INHALATION WITH HYPOTHERMIA FOLLOWING GLOBAL HYPOXIC-ISCHAEMIA: FEASIBILITY. Thoresen, Marianne (2017). Entry criteria for Therapeutic are drifting - does it matter?. Thoresen, Marianne (2017). Epilepsy and the need for drug treatment in infancy and early school years after perinatal asphyxia and therapeutic hypothermia. Thoresen, Marianne (2017). Gases for the brain. Thoresen, Marianne (2017). Reduced sub-cortical grey matter volume is Associated With functional outcome at 6-8 years in children without cerebral palsy, who were cooled for neonatal encephalopathy. Thoresen, Marianne (2017). Selection Criteria for 3 days of Therapeutic Hypothermia (TH) treatment after newborn asphyxia is based on aEEG depression. At 2 years, only 2% of TH infants have seizures needing regular AED treatment in a large SWE cohort'. Thoresen, Marianne (2017). Tackling perinatal asphyxia. Does keeping the newborn brain cold after lack of oxygen always reduce brain injury?. Thoresen, Marianne (2017). Targeted Temperature management in the very young. Thoresen, Marianne & Falck, Mari (2017). Hypothermia plus human Umbilical-Cord Blood Cells is neuroprotective in a severe neonatal hypoxicischaemic brain injury model. Thoresen, Marianne; Falck, Mari & Maes, Elke (2017). Pathogen specific changes in core temperature and neuroinflammation in the neonatal rat. Chakkarapani, Ela & Thoresen, Marianne (2016). C-Reactive Protein Response in Infants Cooled for Neonatal Encephalopathy Is Delayed in Females More Than Males. Falck, Mari; Maes, Elke; Flatebo, Torun; Wood, Thomas Ragnar; Sabir, Hemmen; Osredkar, Damjan & Thoresen, Marianne (2016). Gram-positive Septicemia Sensitises The Neonatal Brain To Hypoxic-ischemic Injury, Without Inhibiting The Neuroprotective Effect Of Hypothermia. Lee-Kelland, Richard; Dingley, John; Okano, S; Scull-Brown, Emma; Thoresen, Marianne & Chakkarapani, Ela (2016). Xenon as Neuroprotection: A Demonstration of an Automated Delivery System. Smit, Elisa; Wood, Thomas Ragnar; Elstad, Maja; Liu, Xun & Thoresen, Marianne (2016). The effect of resuscitation in 100% Oxygen on cerebral blood flow and neuropathology in a newborn rat model of hypoxia-ischaemia. Steinsland, Tonje & Thoresen, Marianne (2016, 20. november). Vårt lille land : 'Cooling babies'. [TV]. Thoresen, Marianne (2016). Cooling the right children with the optimal protocol using valid short and long term outcome examinations - are we getting any better?. Thoresen, Marianne (2016). Hypothermia and beyond. (Perinatal Asphyxia). Thoresen, Marianne (2016, 21. november). 'Lille Tobias var i ferd med å dø - da gjorde lege Marianne noe ingen hadde gjort før'. [TV]. http://www.tv2.no/a/8732302. Thoresen, Marianne (2016). Xenon and hypothermia in neonates. Thoresen, Marianne & Herefordshire & Worcester, BBC Radio (2016, 19. august). Interview following-up on progress of a baby who had been enrolled in a clinical trial. [Radio]. Wood, Thomas Ragnar; Skranes, Janne Helen; Falck, Mari; Lohaugen, GC; Stiris, Tom; Loberg, EM; Fugelseth, Drude & Thoresen, Marianne (2016). Core Temperature After Neonatal Hypoxia-Ischaemia Predicts Long-term Cerebral Injury. Chakkarapani, Ela; Aquilina, Julian; Lee-Kelland, Richard; Jary, Sally; Liu, Xun & Thoresen, Marianne (2015). Morphine exposure and neurodevelopment outcome in cooled neonatal encephalopathy infants with mild cerebral dysfunction. Falck, Mari; Osredkar, Damjan; Maes, Elke; Wood, Thomas Ragnar; Puchades, Maja Amedjkouh; Sabir, Hemmen & Thoresen, Marianne (2015). Systemic Inflammation Negates Hypothermic Neuroprotection in a Neonatal HIE-model. Falck, Mari; Osredkar, Damjan & Thoresen, Marianne (2015). Hypothermia does not reverse cellular responses caused by lipopolysaccharide in neonatal hypoxic ischemic brain injury. Lee-Kelland, Richard; Chakkarapani, Ela; Jary, Sally; Liu, Xun & Thoresen, Marianne (2015). Temperature Instability Post Rewarming in Neonates Who Have Received Therapeutic Hypothermia. Sabir, Hemmen; Maes, Elke; Liu, Xun; Dingley, John & Thoresen, Marianne (2015). Fentanyl induces cerebellar internal granular cell layer apoptosis in healthy newborn pigs. Sabir, Hemmen; Osredkar, Damjan; Maes, Elke; Wood, Thomas Ragnar & Thoresen, Marianne (2015). Therapeutic Hypothermia Combined With Inhaled Xenon in Newborn Rats: the Ongoing Challenge following severe hypoxicischemic brain injury. Thoresen, Marianne (2015). Hypothermia after perinatal asphyxia; do we select and cool the right babies with the optimal cooling protocol and follow up agreements?. Thoresen, Marianne (2015). Optimal hypothermia treatment: an update from experimental and clinical research. Thoresen, Marianne (2015). Optimal resuscitation followed by optimal hypothermia with and without added xenon inhalation. Thoresen, Marianne (2015). Who should we cool, for how long and at what temperature?. Thoresen, Marianne; Chakkarapani, Ela; Walløe, Lars; Løberg, Else Marit; Maes, Elke; Liu, Xun & Osredkar, Damjan (2015). No cardiac protection from hypothermia or xenon inhalation after hypoxia-ischemia in newborn pigs. Wood, Thomas Ragnar; Osredkar, Damjan; Flatebø, Torun; Falck, Mari; Maes, Elke & Thoresen, Marianne (2015). Temperature Dependence Of Hypothermic Neuroprotection In A R Model Of Neonatal Hypoxic Ischaemic Encephalopathy. Wood, Thomas Ragnar; Osredkar, Damjan; Flatebø, Torun; Falck, Mari; Maes, Elke & Thoresen, Marianne (2015). Temperature Dependence Of Hypothermic Neuroprotection in a Rat Model of Neonatal Hypoxic Ischaemic Enchephopathy. Davis, Jonathan; Liu, Xun; Gill, Hannah; Smit, Elisa; Chakkarapani, Ela & Thoresen, Marianne (2014). Inclusion Benefit for Neonates in the Control Arm of a Randomized Controlled Trial of Xenon With Cooling. Gill, Hannah; Thoresen, Marianne; Smit, Elisa; Davis, Jonathan; Liu, Xun; Dingley, John & Elstad, Maja (2014). Is Atropine Before Intubation of Term Neonates Justified? An Observation from the CoolXe2 Trial. Jary, Sally; Liu, Xun & Thoresen, Marianne (2014). Severity of Cerebral Palsy Is Reduced in Cooled Infants. Liu, Xun; de Vries, Linda s; Hellström-Westas, Lena & Thoresen, Marianne (2014). Seizure Severity and Outcome in Cooled and Non-Cooled Asphyxiated Infants. Liu, Xun; Osredkar, Damjan; Jary, Sally; Chakkarapani, Ela & Thoresen, Marianne (2014). Cooling Reduces Late Seizures Disorder in Infants After Perinatal Asphyxia. Osredkar, Damjan; Thoresen, Marianne; Maes, Elke; Flatebo, Torun; Elstad, Maja & Sabir, Hemmen (2014). Hypothermia Is Not Neuroprotective after Infection-Sensitized Neonatal Hypoxic-Ischemic Brain Injury. Sabir, Hemmen; Walløe, Lars; Dingley, John; Chakkarapani, Ela; Smit, Elisa; Bishop, Sarah; Liu, Xun & Thoresen, Marianne (2014). The Neuroprotective Effects of Xenon and Therapeutic Hypothermia Are Not Synergistic after Hypoxia-Ischaemia in Newborn Rats. Skranes, Janne Helen; Cowan, Frances; Stiris, Tom; Fugelseth, Drude; Thoresen, Marianne & SERVER, ANDRES (2014). Cerebral MRI on Days 4 and 11 in Encephalopathic Neonates Treated With Hypothermia. Smit, Elisa; Jary, Sally; Liu, Xun; Cowan, Frances & Thoresen, Marianne (2014). Cooling Infants Outside the Standard Criteria - Short and Long Term Outcomes.